Music and dance figure prominently in East Turkistan culture. Styles of the music can be classified roughly by the lifestyles of the tribes. Nomads like Qazaq and Kyrzyz havesimple wooden string instruments and they normally play rectal with the instruments. Kui is a kind of instrumental that starts with a storytelling and then play the music. 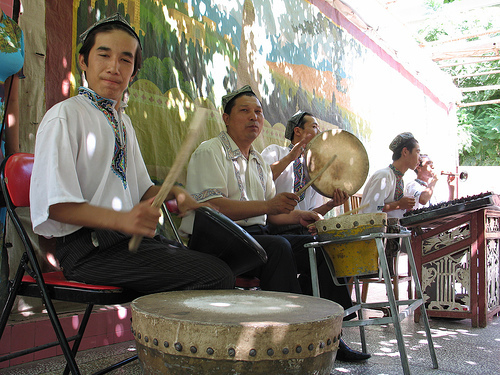 On the other hand, people who settle in one region like Uyghurs have various styles of music and instruments. Music of Uyghur can be grouped into classical music called muqam, folk song, ethnic dance music and popular music based on them. Uyghur Muqam is a kind of the Muqam music spread commonly in West Asia and Central Asia. It has diverse rhythm and complicated composition. As they say 'children start dancing when they start walking and they start singing when they start talking', Uyghurs love music and dance. The instruments they play are string instruments like tambur, dutar, rawap, wind instruments like sunay and percussion instruments like dap and naghara. They have their original steps , rhythm and composition in their dance. There are various dances like popular dance, competitive dance, dance that imitates animals, etc. 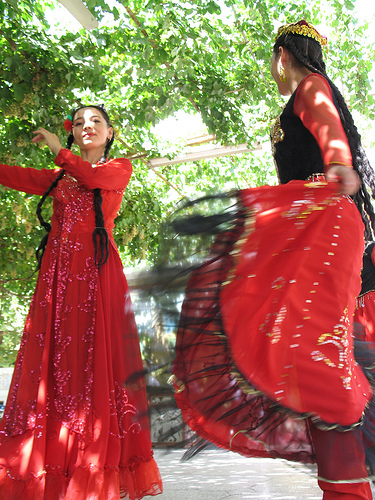 Folk dances are normally performed on the local gatherings called 'Mashrap'. Uyghur muqam is a suit played by orchestra using the traditional musical instruments. It was proclaimed as a Masterpieces of the Oral and Intangible Heritage of Humanity in 2005. It is composed by 3 parts and each is called Chong naghma, Dastan and Mashrap. Chong naghma means 'great music' and it starts with a solo singer sings without beat. Dastan means 'narrative songs' and generally 4-5 numbers are sund and performed. Mashrap means 'Dance music' and 3-5 mashrap are performed and traditional dances are also performed. It is often played as a dance music during the Mashrap festival. There are several different muqam in each part of East Turkistan such as Hami Muqam, Ili Muqam, Doran Muqam and Kashgar Muqam. Kashgar Muqam is well known as '12 Muqam'. It is composed by muqam that has 12 different musical modes and it is formed by nearly 300 numbers. As it takes 2 hours to play each muqam, it takes nearly a whole day to perform all. 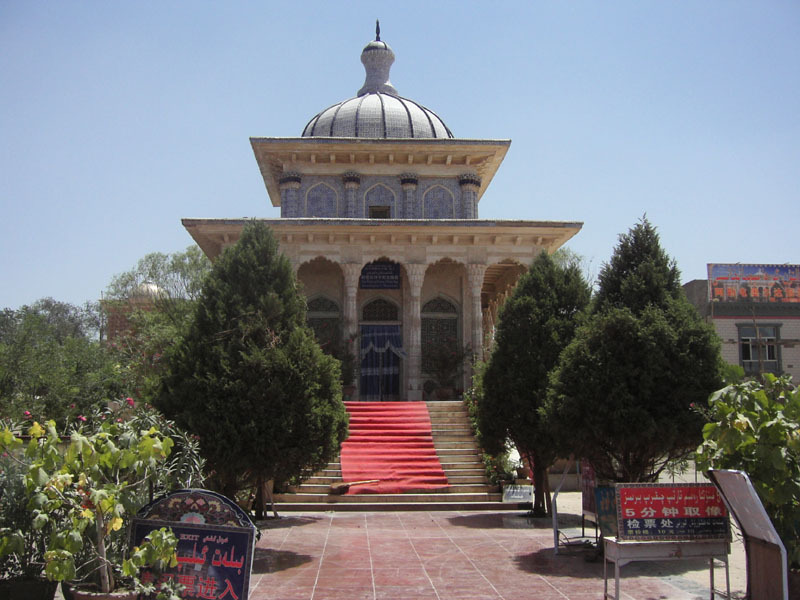 12 Muqam has a long history that can be tracked back to Khanate of Yarkand in 16th century. It is said base of 12 Muqam was created by Amannisahan, the wife of Abdurashid, the second Sultan, and her music master.